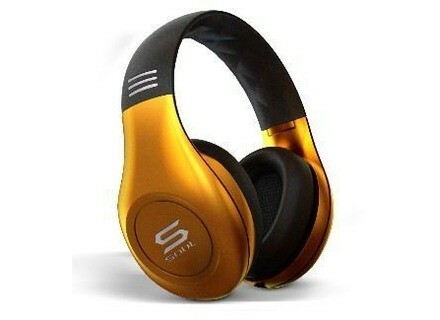 SL300, Studio headphone from Soul. 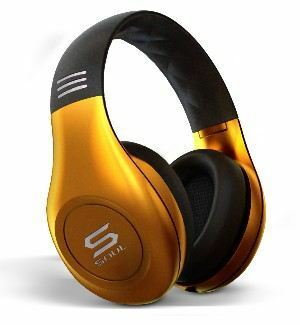 Signeo recently announced the worldwide launch of a new line of personal audio products - SOUL by Ludacris. The brand kicks off with an initial 5-model line-up of headphones. The SOUL by Ludacris line debuts with the High Definition Professional SL300 Powered Noise Cancelling headphone, High Definition On-Ear models SL150 and SL100, and the SE99 and SE49 High Definition In-Ear headphones. The line contains technology such as noise cancellation technology and ultra precise audio mix balancing designed to deliver deep bass without sacrificing clarity of mids and highs. The SOUL by Ludacris product line will be exclusively distributed by Ingram Micro, Inc. through its Consumer Electronics Division. The new line is scheduled to hit retail shelves nationwide in early 2011. For more information, visit SOULbyLudacris.com. [NAMM] Numark Red Wave Numark introduces Red Wave professional DJ headphones.